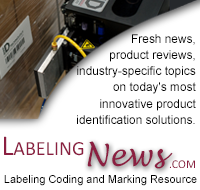 Labeling Systems (LSI) was founded in 1979 in order to meet the packaging industry's need for heavy duty, pressure sensitive labeling equipment. From its inception, LSI has always designed and manufactured label applicators that can stand up to the abuse inherent to 24 hour production line demands. Engineering continues as the key to our success and a fully equipped R&D Electronics Laboratory allows us to design our own electronics tailored to customers’ needs as well as integrate industry standard PLCs and controls as needed. Now we are part of ID Technology as their Labeling Systems and Integration manufacturing facility. We continue to maintain the same high standards customers have come to expect from us. Whether your need is for a simple wrap labeling system or a complete turn-key track and trace system for a pharmaceutical application, we have you covered, with superior engineering and robust equipment built for the most demanding environments.